Two wheels aren’t as stable as four when it comes to slippery and challenging surfaces therefore as a motorbike rider you need to be looking out for these hazards. 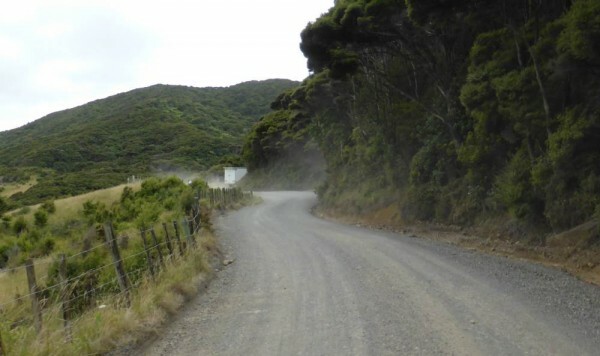 New Zealand has plenty of beautiful roads to spectacular places which are still gravel all the way. Watch out for the banks of gravel that form on the edges of the roads. Follow the tyre tracks that have been left by cars as this will have the least amount of loose stones. However, when it’s wet, these areas with less stones can become very slick. Of course, you also must be careful of dust when following other vehicles. Loose gravel can also frequently be found on the edges of the road. As the edges of the road aren’t so frequently used, lichens can take a foothold and these are slippery when wet. Water that is fast flowing can sweep your wheels from under you even if it’s not that deep. After you’ve passed through the water, ensure that your brake discs aren’t wet otherwise they won’t provide decent stopping power. Spilled fluids (e.g. diesel) can be especially slippery. Larger items (including road kill) can cause you to lose control. Vegetation and mud can be dragged onto the road by agricultural machinery. Items can fall from trailers and vehicles. Scanning a good distance ahead can help you miss these items. 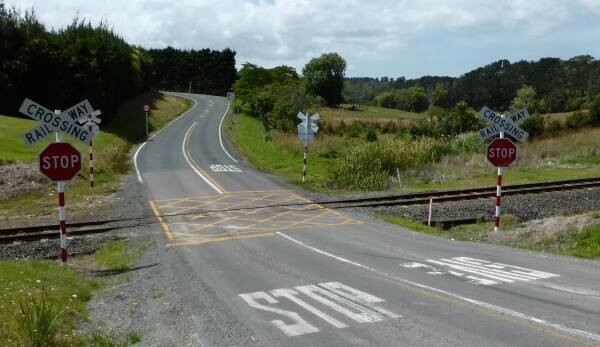 A level crossing is where the train tracks cross the road at the same level rather than going over a bridge or through a cutting or tunnel. The metal rails can be slippery, and if they are not perpendicular to the road there’s more of a risk that your wheel can get stuck in them, or deflected by them, if you have narrow wheels. Sometimes a steel plate might be used over the top of a temporary hole, and these can be slippery when wet. Manhole covers are also hazardous when they’re wet. There’s less friction on a wet metal surface than a wet asphalt surface. 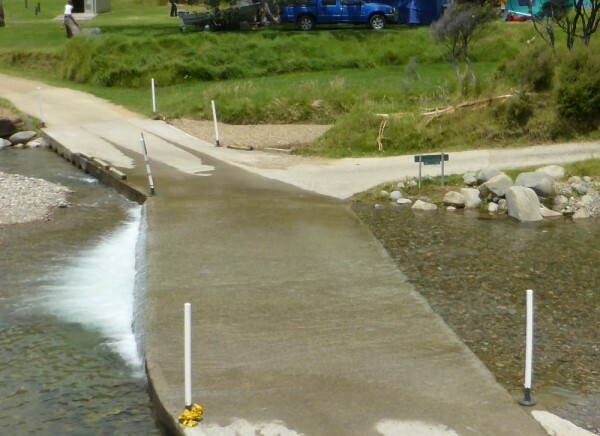 Service trenches, where a pipe or cable has been dug up and repairs, are sometimes overfilled to allow for settlement, but can still settle to create a channel where water will remain as a puddle. 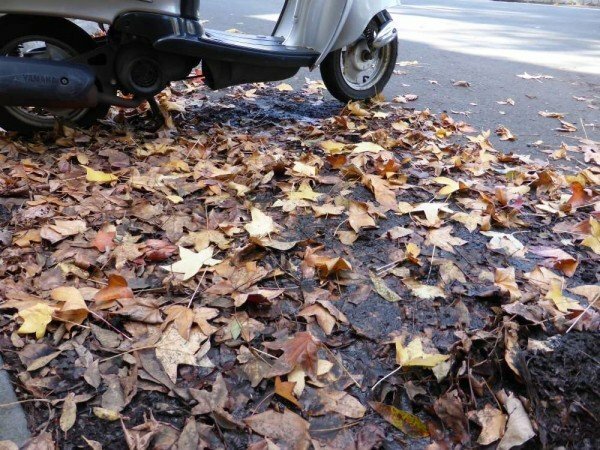 When autumn comes, leaves fall from deciduous plants and they decay along the roadside creating a slimy much which can be difficult for motorcyclists. These areas can also be hazards before the trees drop their leaves as they shade the road from drying out. Black ice, which is frequently caused by drizzle falling in freezing temperatures, is almost impossible to see. 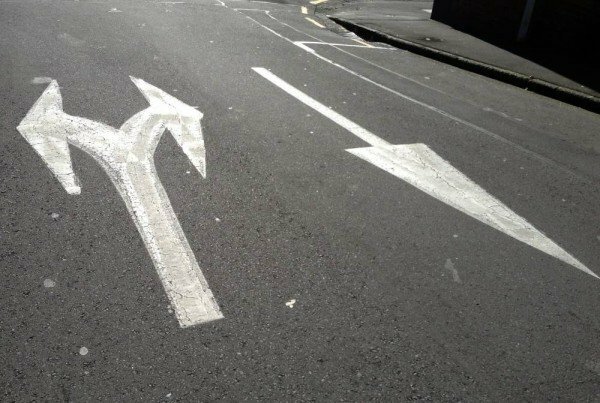 Road marking paint has much more friction than it used to, but it’s still not quite as grippy as tarmac. Take care in the wet. 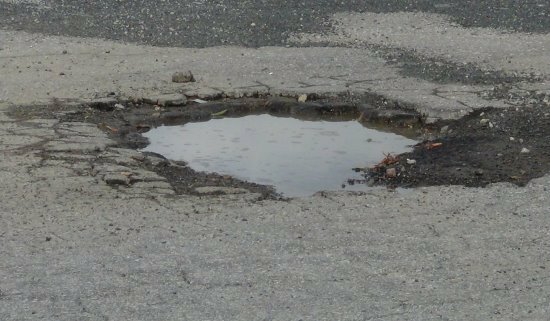 The most common issues are pot holes, but you can also find sections of road which have been worn very smooth, tarmac joints which have very little grip and areas where the surface is loose. They’re usually marked but are sometimes difficult to see at night. If you hit one at speed it can bounce you out of your seat. 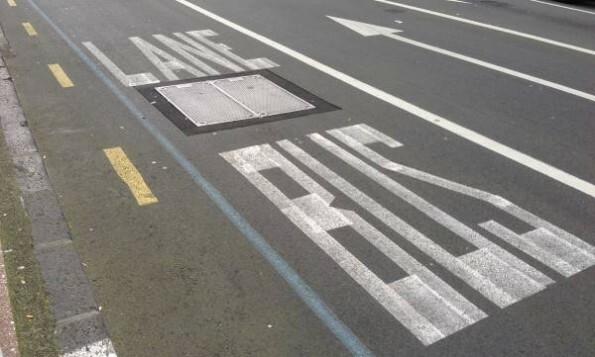 If there’s a space either side then you can ride through that; these are often called speed cushions or road cushions. 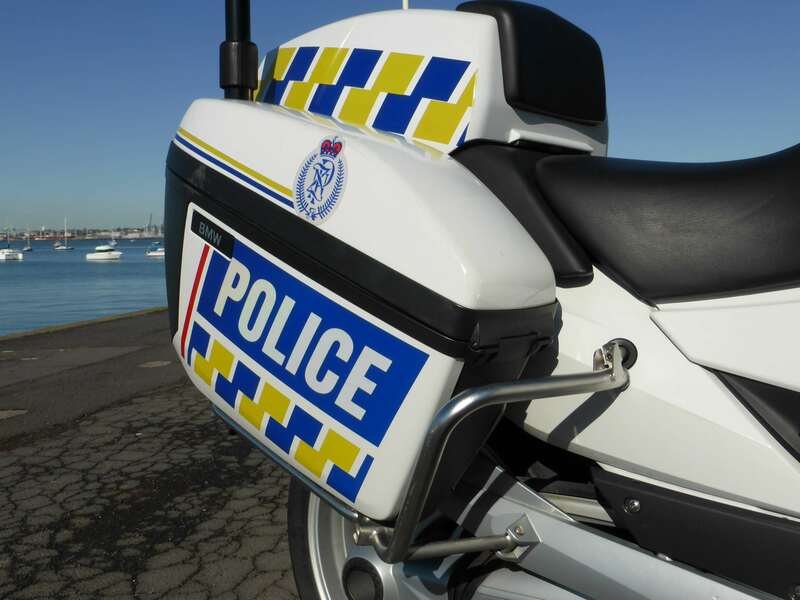 ‹ What do you do if you lose your speeding ticket?